JUNO BEACH, Florida, June 7, 2018 (ENS) – The Edison Electric Institute, which represents all U.S. investor-owned electric companies, has presented Florida Power & Light Company with its 2018 Emergency Assistance Award for Puerto Rico Power Restoration. The award recognizes FPL for its contributions to the unprecedented emergency power restoration mission in Puerto Rico following Hurricane Maria. 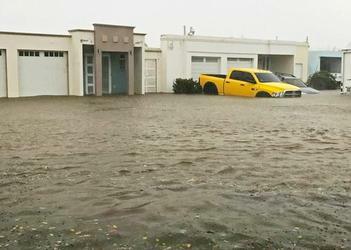 The devastating Category 4 hurricane made landfall in Puerto Rico on September 20, 2017, damaging at least 80 percent of the island’s energy grid, and leaving all island residents without power. Maria, the first Category 4 storm to hit the island since 1932, dumped 20 to 30 inches of rain on Puerto Rico in 24 hours. A recent reassessment of the death toll by Harvard University calculated that close to 4,600 people died as a result of the storm – more than 70 times above the government’s official count of 64 deaths. “Words cannot describe the pride we at FPL have for our dedicated employees who volunteered to leave their families for weeks, and in some cases months, to get the lights back on for our neighbors in Puerto Rico,” said Florida Power & Light Company President and CEO Eric Silagy. FPL’s team of more than 400 men and women worked for nearly 200 days, restoring power to some 30,000 homes in the aftermath of Hurricane Maria. FPL’s support of the restoration effort began even before the company completed its own restoration to 4.4 million customers following the unprecedented Hurricane Irma in September, identifying a team of restoration professionals prepared to deploy to Puerto Rico. The company coordinated the delivery of power poles and other electric equipment to the island and accompanied Florida Governor Rick Scott to Puerto Rico in November. A 10-person Incident Management Team began working on the island in December to coordinate restoration efforts in Bayamon, one of the island’s seven regions. In January, the first of three waves of FPL lineworkers, management and support staff started restoring service in the field. Some employees volunteered to remain in Puerto Rico for three straight months, working 16-hour days on a schedule of 30 days on, one day off. 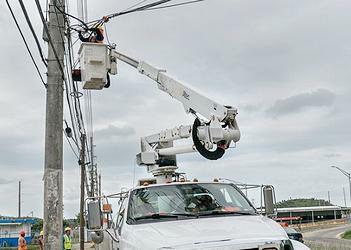 Electric companies from the mainland that provided mutual assistance to the Puerto Rico Electric Power Authority, PREPA, faced challenging and complex restoration work because extensive portions of Puerto Rico’s energy grid are in rugged, mountainous terrain that has little or no road access. Nearly 60 investor-owned electric companies and public power utilities committed crews, equipment, and/or materials to the emergency power restoration mission. Overall, approximately 3,000 industry lineworkers and support personnel were involved in the Puerto Rican restoration effort. 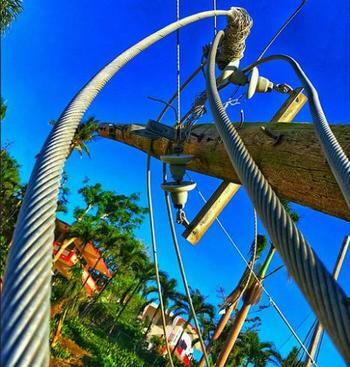 On May 22, PREPA announced that power had been restored to 99 percent of its customers across the island who can receive electricity. This milestone was reached by PREPA and its restoration partners, including the Federal Emergency Management Agency, FEMA, the U.S. Army Corps of Engineers and its contractors, and industry mutual assistance crews. May 22 was a good day for Puerto Rico’s recovery for another reason as well. On that day, AbbVie, a Chicago-based global biopharmaceutical research company, announced a donation of US$100 million to two organizations to strengthen access to healthcare and housing in Puerto Rico. The organizations, Direct Relief and Habitat for Humanity International, will receive $50 million each. “AbbVie has a longstanding commitment to the people of Puerto Rico, having operated on the Island for nearly 50 years. Last year’s hurricanes were devastating, but we are proud that thanks to the sacrifices made by our colleagues in Puerto Rico our operations were not disrupted and patients relying on our treatments could continue to receive them,” said AbbVie Chairman and CEO Richard Gonzalez. To date, more than US$25 billion in combined federal assistance has been approved for Hurricane Maria recovery. The reconstruction process is estimated to take 10 years, says Omar Marrero, executive director of Puerto Rico’s Central Office of Recovery, Reconstruction and Resiliency that was created to coordinate all sources of federal funding approved for Hurricane María recovery. The initial focus is on rebuilding housing and the rebuilding of infrastructure in the worst-impacted areas. But the Trump Administration has said that the bankrupt Commonwealth must pay back all aid funding provided by the federal government. An exception to that payback rule came on May 29, when the Federal Communications Commission, FCC, approved US$750 million for the Uniting Puerto Rico Fund to be used for restoration and expansion of the island’s telecommunications network. The fund will support competitive proposals from suppliers, for projects of up to 10 years. Last October, the FCC made available $76.9 million to reestablish communications networks on the island, damaged by two hurricanes in 2017, Irma and Maria. Alejandro De La Campa, FEMA’s Capacity Building sector chief, told mayors attending a Preparedness and Disaster Management Conference on June 5 that FEMA is providing training exercises and technical assistance to both the Puerto Rico Emergency Management Agency, PREMA, and the island’s 78 municipalities.